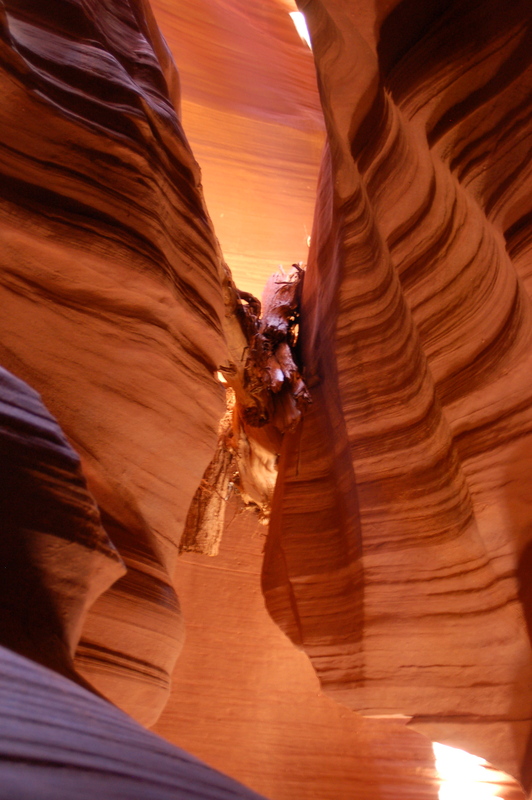 Whenever I show my photos of this canyon to fellow travelers I receive the same general response – “this place is amazing!” And it is a naturally spectacular place – there is no need for post-trip photoshop! 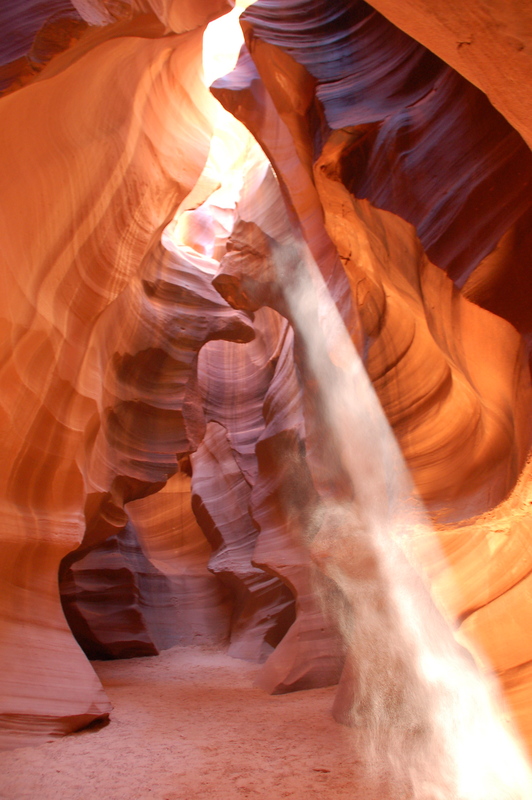 Antelope Canyon is on Navarro indian land in the state of Arizona. 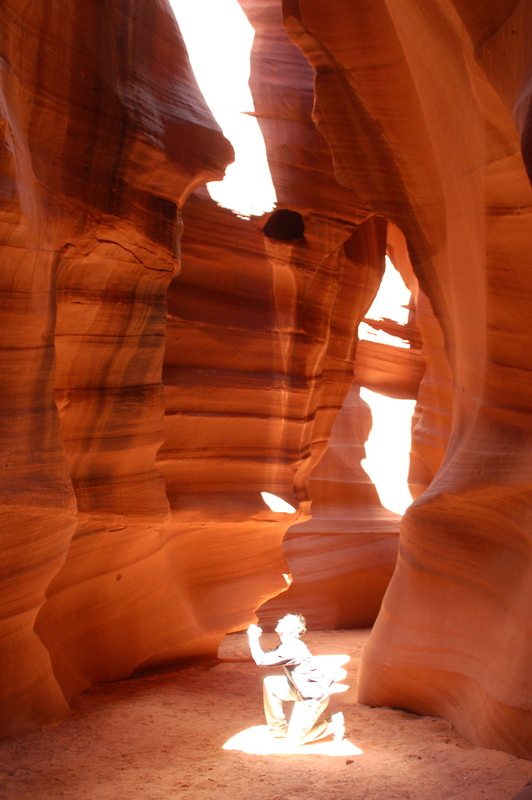 You can’t visit the Upper Canyon on your own and therefore need to join a guided tour (and pay for it). Be prepared to not be the only photographer in the canyon: there are a lot of visitors to the Upper Canyon and everybody makes the most of their picture taking time here. The group I was with was following the good advice of our experienced guide to get the right angles and to have nobody else in their pictures – it was a bit like a photography summer camp… but the results were totally worth it! The Lower Canyon is the opposite . We went there on our own and met nobody. We entered the canyon through a hole in the ground and started a sporty stroll. This canyon is a bit less photogenic than the upper -it is quite narrow and doesn’t have the light play of the upper canyon, but it is so much more intimate, quiet and charming. We had a fanstatic time there! 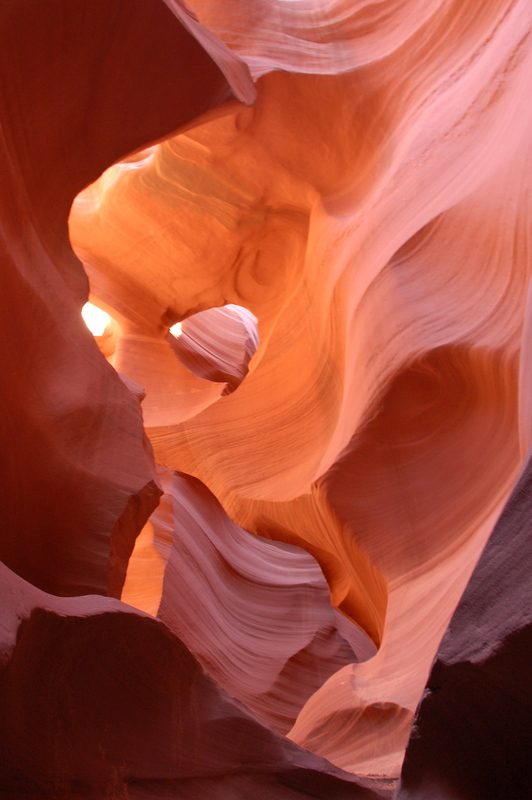 We went to Antelope Canyon in April 2007: at the time the place wasn’t as busy as it seems to be today. 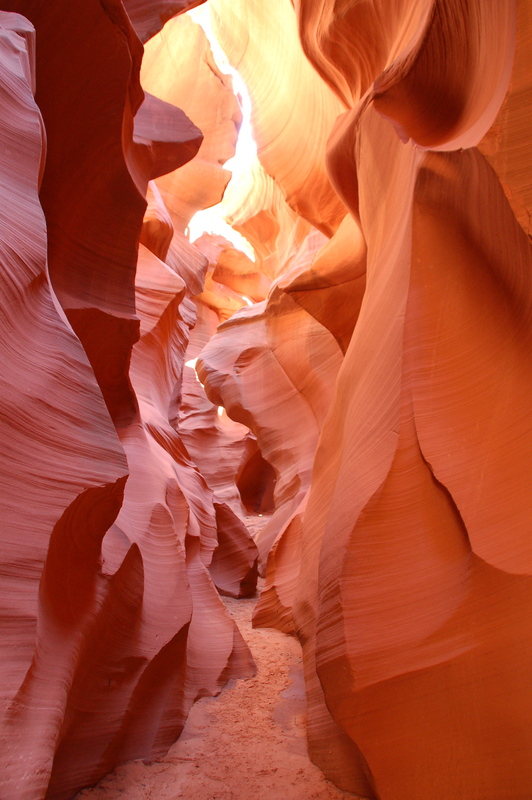 The entrance fee was lower and you were able to visit the lower canyon on your own. Things seems to have changed and I would recommend you to go during the week or the low season. 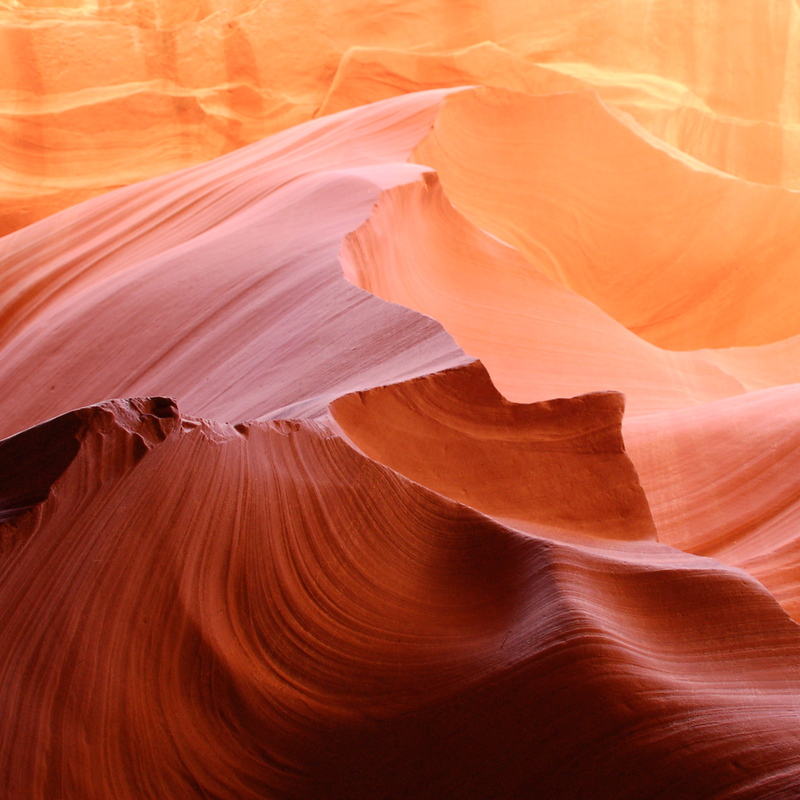 In the Page area, we wanted to visit the Wave at Coyote Buttes. We didn’t manage to get a permit on the internet and decided to skip it. Have you been there? « Cambodia – Feeling like Indiana Jones at Angkor, still possible?